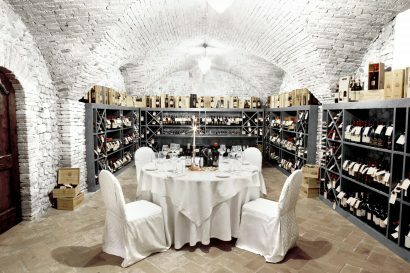 Authentic XII century castle converted in a 5*L resort in 2006. 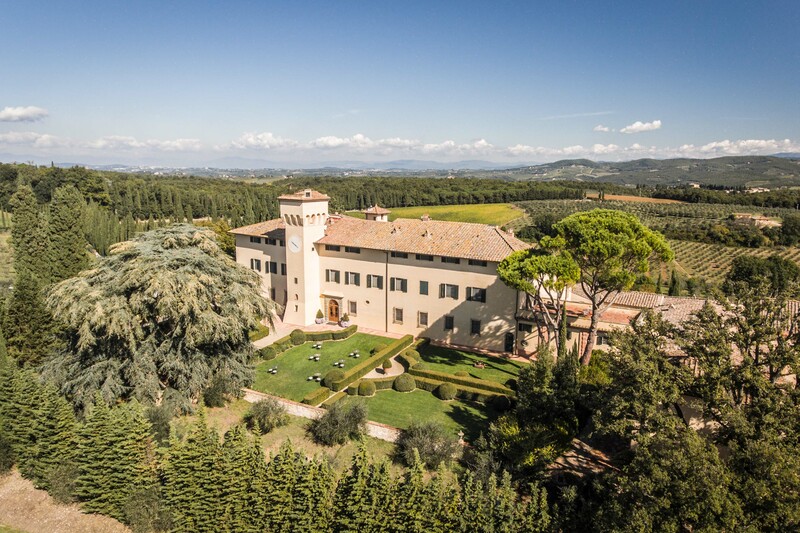 Fabio Datteroni joined Castello del Nero Hotel & Spa in 2012, he has an extensive Rooms Division, Food & Beverage and Sales & Marketing experience in the Luxury Hospitality sector. 5-star luxury hotel in the heart of the Chianti area in Tuscany, COMO Hotels first property in continental Europe, member of The Leading Hotels of the World. COMO Castello Del Nero finds its origins in the 12th century, when it became the country residence of the noble Florentine family Del Nero. The Del Nero family coat of arms, representing a rearing greyhound, can still be seen today at COMO Castello Del Nero. In 2019 the interiors have been softly redesigned by Milanese designer, Paola Navone, who has brought a light and modern ‘COMO’ aesthetic, to complement and enhance the period architecture of the Castello, without losing any of the deeply authentic historic texture. COMO Castello Del Nero, Tuscany, is a serene, contemporary retreat occupying a twelfth-century Castello in Italy’s world-famous Chianti wine region. 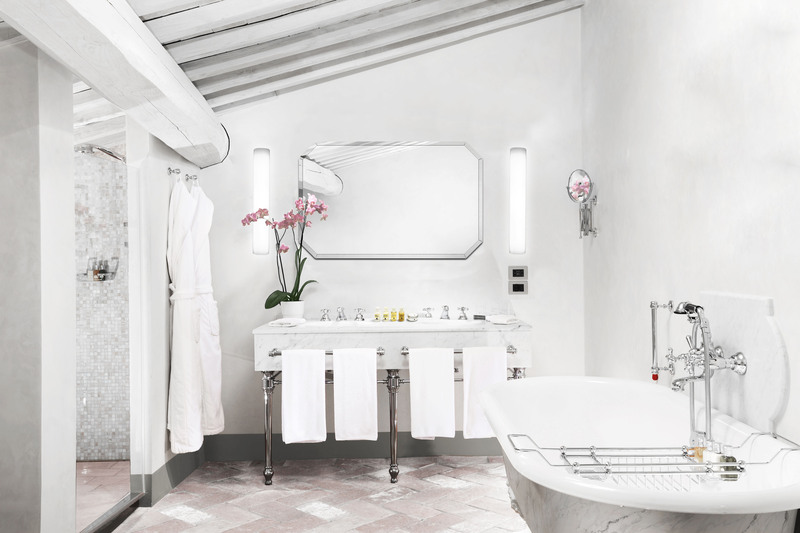 This is COMO’s first property in continental Europe, offering our precise service, therapeutic wellness experiences at COMO Shambhala Retreat and award-winning food. 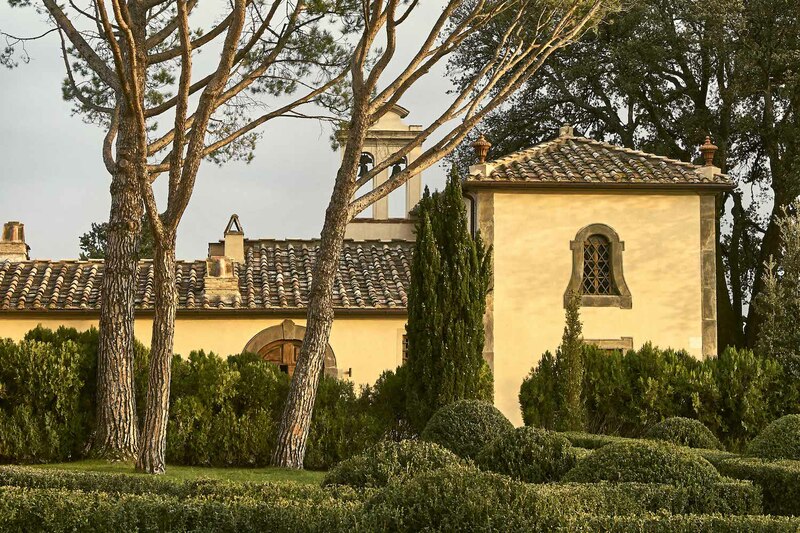 The Michelin-starred La Torre restaurant is overseen by Giovanni Luca Di Pirro. 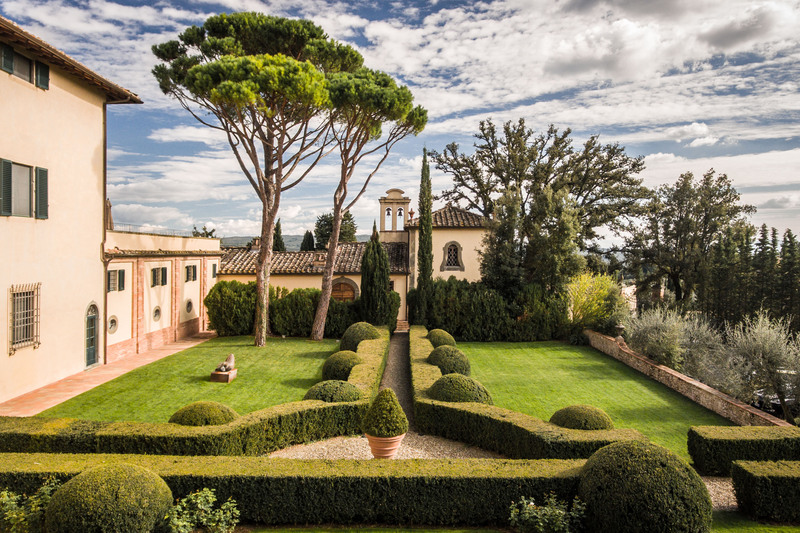 COMO Castello Del Nero, Tuscany, is a 740-acre, historic estate in the world-famous Chianti wine region of Italy — and COMO’s first property in continental Europe. 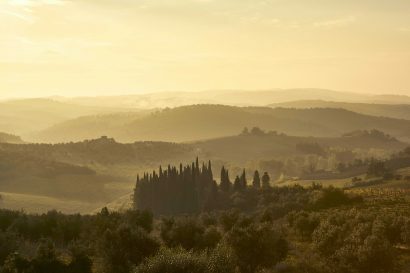 The historic cities of Florence and Siena are both within a 30-minute drive, with the wider destination opened up for guests, from hiking to biking to carefully guided cultural excursions. 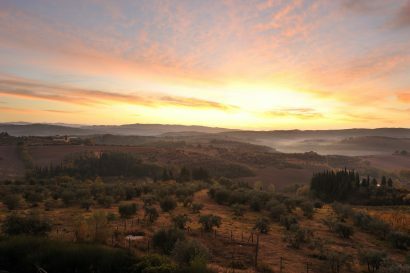 Hot air ballooning, Truffle hunt, Horse riding, Biking, Vespa and FIAT Vintage 500 rental, Vintage Tours, Helicopter Tours, Safari Wine Tours, Make your Wine Tours, Gelato (Ice Cream) Classes, Pottery Courses, Women Shoes Experience, Wine tasting in the local wine cellar, Visit to the closest main cities. On one side of the main building there is the ‘Promenade of the Marquise’, a path through secular cypress trees which was created on desire of the Marquise Teresa Del Nero who wanted a private, shady and hidden passage to reach the wood next to the castle. Entering ‘The Taverna’, you find a passage to a little and cozy room, this is the inside of the back tower. If you turn up your head you can see a hole in the ceiling. 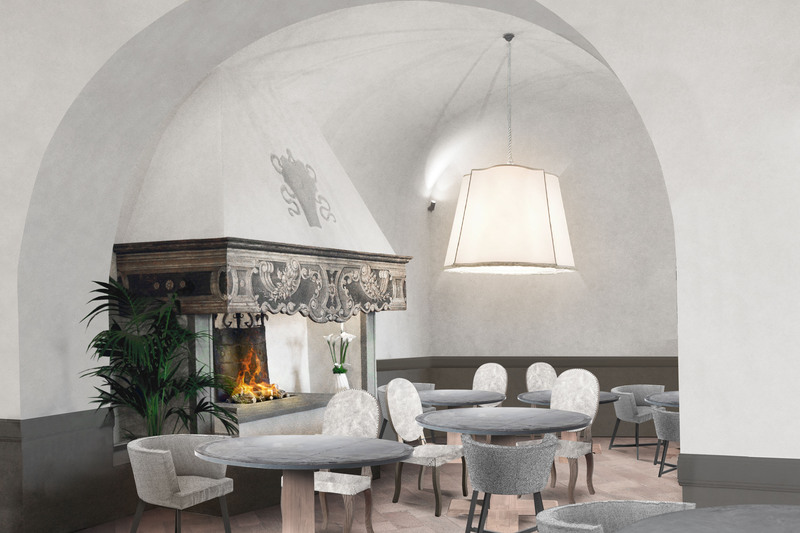 The hole was used as a lift between the Kitchen (the actual Taverna) and the dining room of the Castle (actual Heritage Suite Marchese Carlo). Special in room amenities, Family cooking classes, Kids area by the pool, Baby sitting on request. 19 Estate Rooms (25 – 38sq m): These comfortable rooms are full of Tuscan charm, with courtyard or garden views and queen-size or twin beds. 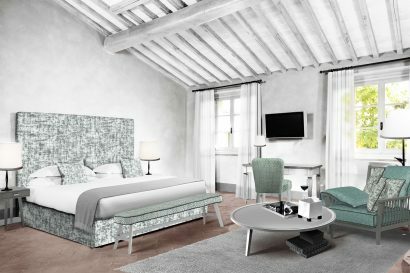 13 – Tavarnelle Rooms 36-50 sqm (388 – 539 sqFt): These spacious rooms overlook Tuscany’s rolling hills and feature queen-size or twin beds draped in Egyptian cotton. 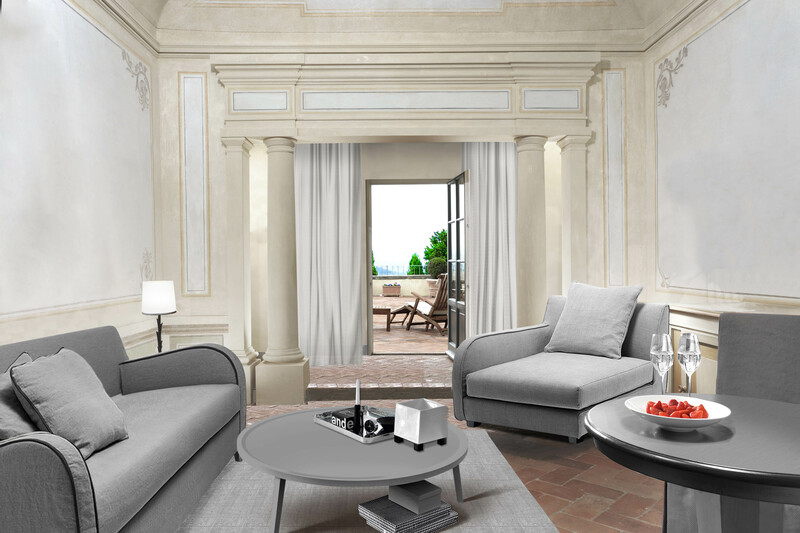 10 Tavarnelle Suites 40-70 sqm (430-646 sqFt): These ample suites feature a separate living area, master bedroom, and views over the courtyard, garden or Tuscan hills. 3 Loft Suites 55-81 sqm (592-871 sqFt): These split-level suites feature a spacious living area on the lower floor and master bedroom on the upper. 3 Heritage Suites 70-77 sqm (753-829 sqFt): Inside these historic suites, original 18th-century frescoes line the walls and ceilings, while an original fireplace centres the ample living room. 1 COMO Suite 90 sqm (968 sqFt): This spacious suite is ideal for families, with two bedrooms, two bathrooms, far-reaching views and an independent entrance. 1 COMO Terrace Suite 90 sqm (968 sqFt): This suite features a master bedroom, separate living room, and private terrace with 180° views across the hilltops and lakes. 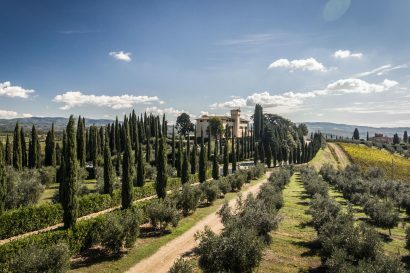 La Torre : Our Michelin starred restaurant delivers the best ingredients sourced from local farmers, or directly from the Castello’s organic garden. 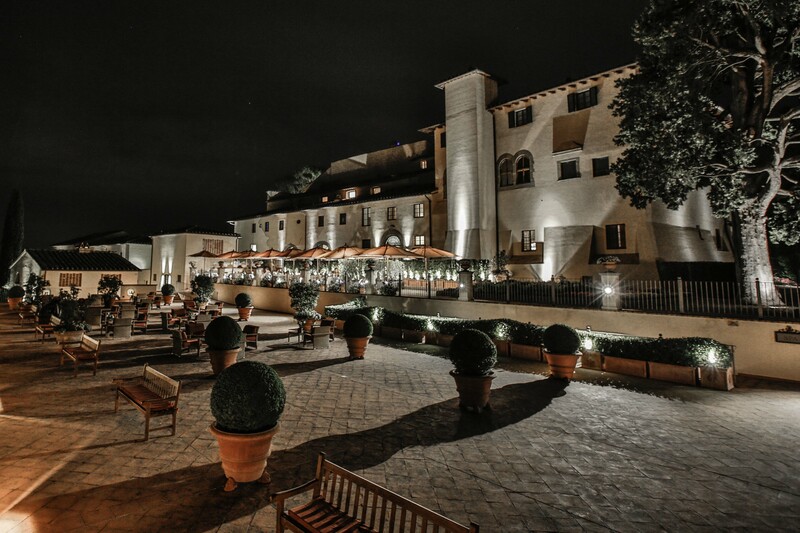 La Taverna : offers an assortment of Tuscan signature dishes as well as a fine selection of drinks in the lounge and bar. Pavilion (open during summer months): offers all-day dining, with menus featuring Mediterranean cuisine as well as international favourites and COMO signature dishes. Cooking Classes with the Executive Chef on property on set days. 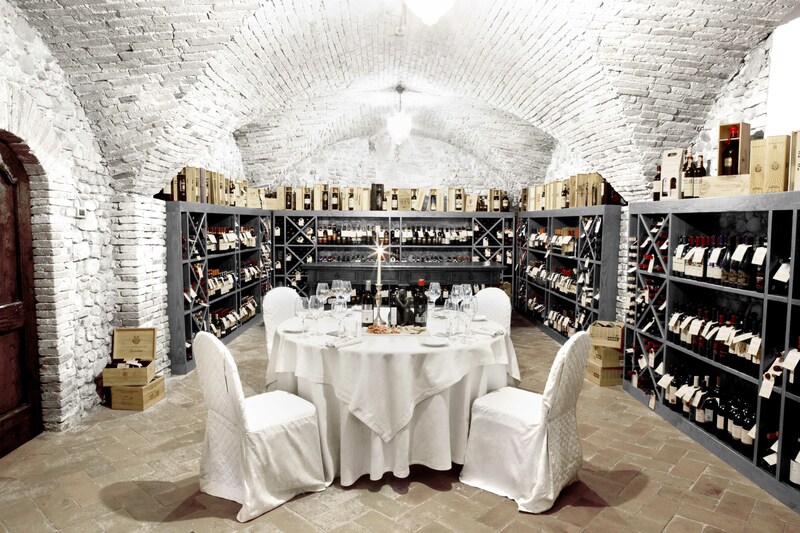 Wine and extra virgin olive oil Tastings in the 12th century wine cellars. Ugolino Golf Club – 40 minutes. • Sales Manager Alessia Bruni – 2017 Certified Traveller Made 1st Grand Hotel Champion. • 2017 Platinum List Award of American Airlines “Celebrated Living magazine” –one of the winner in Best Country House Hotels category.